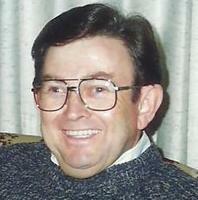 Provide comfort for the family of Robert "Bob" Semple with a meaningful gesture of sympathy. Robert “Bob” Semple was born in Winchester, Ohio, on August 19, 1941, to parents Donald and Beulah Wade Semple and departed this life on March 2, 2019, at the Hospice of Hope Ohio Valley Inpatient Center, Seaman, Ohio. In addition to his parents, he was preceded in death by two brothers, William Dean Semple and William “Bill” Semple, and loving grandparents, Will and Nettie McGovney Semple. Survivors include his spouse, Rebecca Griffith Semple, one daughter, Kathleen (Jon) Young, three grandsons, Jon Robert, Will, and Owen Young, one sister, Kay (Ernie) Butts, one brother, David (Margaret) Semple, one niece, three nephews, and several great nieces and nephews. Visitation will be held Thursday, March 7, 2019, 11:00-1:00 at the Lewis Sullivan Chapel, Seaman, Ohio, with services following at 1:00. Internment will be at Cherry Fork Cemetery, Cherry Fork Ohio. Rev. Ken Johnson and Rev. Ray Degenkolb will officiate. Wallace Thompson Funeral Home is serving the family. To send flowers in memory of Robert "Bob" Semple, please visit our Heartfelt Sympathies Store. Provide comfort for the family of Robert "Bob" Semple by sending flowers. Bob was one of the first people I met when I was publisher of The People's Defender in 1998. We met at the Caramel Festival in Winchester. Bob introduced me to several folks around the county. He was always cheerful, witty and very knowledgable about the community. Adams County has lost a great person.